Shooting with the latest and greatest gear is always fun. Selecting lens, bodies, filters, batteries, and tripods for a day shoot is fantastic. However there are times when lugging all that gear is really not necessary. this can happen at family events, vacations, or even rock climbing. Lugging around a an XDCAM, Sony F3, or even my Canon 7D with all the lens, really can seem more like work than play time. For these instances I turn to my iPhone 4 and it’s incredible 720p capabilities. The iPhone 4 is small and compact and yet is capable of taking stunning pictures as well as video. This way I can carry it around, and if need be pull it out and begin shooting right away. Shooting videos from your iPhone 4 or any small camera is very handy. To this day I am still impressed by the HD video quality on my iPhone 4. This is really where this small camera shines. This small format is also very easy to edit and share with your friends using Intel’s Quick Sync. 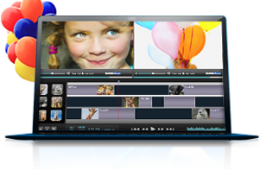 Using the Grass Valley’s Edius 6 and Intel’s QuickSync feature I was able to edit and export a video to YouTube and Vimeo 10 times faster than on my previous generation Intel Processors. A very nice feature. Below is athe first in a series of web videos shot on on the iPhone 4. It is a fantastic piece and perectly displays you don’t always need to have the biggest and badest gear. All you need is some imagination.